Lisa will explain how you can get started with raising your own chickens, how to get chickens, the coop you should be using, and how to incorporate your herbs in the feed, bedding and so much more. Lisa and her husband share their small farm in southeastern Virginia with a menagerie of chickens, ducks, horses, a German Shepherd, a Corgi and a Tuxedo cat. Lisa shares her farming adventures on her blog Fresh Eggs Daily® and sister Facebook pages Fresh Eggs Daily and Ducks Too. 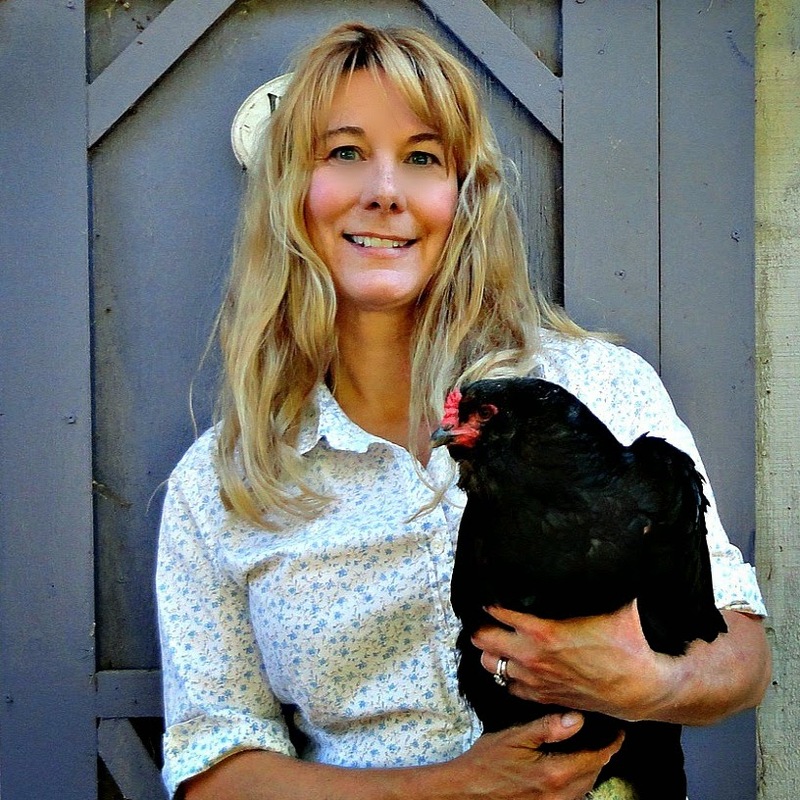 Dedicated to raising their animals as naturally as possible, Lisa offers advice and tips on raising chickens using herbs and other holistic remedies and shows her readers how to have some fun while doing it. In addition to chicken keeping tips, she also shares DIY projects for the coop and run using repurposed materials, gardening ideas, and recipes using fresh eggs, vegetables, berries and herbs. She knits, sews, and dabbles in canning and breadmaking when not tending to her flock. A fifth generation chicken keeper, Lisa has been around chickens for most of her life, but only got back into raising them as an adult about five years ago. In the years since, she created Fresh Eggs Daily® to help others learn how to keep their flocks safe from predators, how to build strong immune systems, and how to keep them healthy without using antibiotics or other commercial medications. Lisa’s advice is time tested, much of it based on how the oldtimers did things, as well as triedandtrue from her own experiences with her flock. She has written a book called Fresh Eggs Daily: Raising Happy, Healthy Chickens...Naturally which not only offers some basic advice to those just starting out on their backyard chicken journey, but also complies the best from her blog in the areas of the coop, run, nesting boxes, dust bath area, and more, to guide readers on a more natural path to chicken keeping. She is also a contributing writer for HGTVGardens, Grit magazine, Capper’s Farmer, Hobby Farms Chickens magazine and Backyard Poultry magazine. Lisa’s own flock has numbered from just three hens to more than three dozen over the years. She has raised more than 20 different breeds at various times and now concentrates on some of the more rare breeds such as Lavender Orpingtons, Chocolate Orpingtons, Olive Eggers, Faverolles and Blue Ameraucanas. She collects pink, blue, olive green, cream and chocolate brown eggs daily from her mixed flock.